I was very impressed with the whole experience. They did everything on time and had excellent communication with me. They kept me up to date on the total process. We were very happy with the quality of the material used on our roof." I was most satisfied with the communication with me from the company. Pat was really good at keeping me up to date on the process." I would like to recognize Pat for all of his hard work. He was really good at commnicating with me. He was very down to earth and explained everthing to me thoroughly. He wasn't pushy or overbearing. He really worked hard on everything and I appreciated his help in explaining everything to me." Overall my experience was very positive and very professional." Replaced the roof on the front of our house. Everything was perfect. They did a perfect job. In business since 2006, Bone Dry Roofing's Cincinnati office is well known for the high-quality roofing, gutter, and masonry services we offer to local homeowners. Using only the best materials available, we'll help you solve your roofing problems to keep your home safe and dry. We are just one branch of Bone Dry, whose first office opened in 1989, and we are proud to use the experience and support of our nine sister offices to better serve our customers. Along with providing the right answers to your roofing needs, we also focus on how our employees treat our customers. We want each and every homeowner who works with us to feel that our technicians are there for them, and we even offer a 24/7 emergency hotline so you can always get a hold of us. Let us take care of your roof and protect your home for the future! Here at Bone Dry Roofing in Cincinnati, we believe in the importance of giving back to our community. 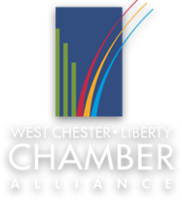 We participate in many local events, including funding for local schools, and we also support various charities, such as United Way, Habitat for Humanity, and many more. Visit our community involvement page to find out more! Over the years, Bone Dry Roofing's Cincinnati office has received recognition from many organizations for all of the hard work we do. We have an A+ rating with the Better Business Bureau (BBB) and are a part of the National Roofing Contractors Association (NRCA). 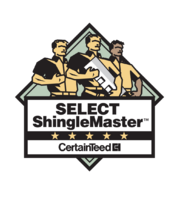 We are Owens Corning Roofing Platinum Preferred, GAF Certified, and a CertainTeed Select ShingleMaster, and we have also taken the Owens Corning Shingle Recycling Pledge. On top of participating in these organizations, we have also been specially chosen to receive many awards. Angie's List has awarded us with 24 consecutive Super Service Awards between 2007 and today in all kinds of categories, including roofing and gutters. Ultimately, we want to be there for our customers, and the belief these companies hold in us helps us connect with our customers and do the good work we want to do! Gene Judd is the President and CEO of Bone Dry Roofing. He has a lifetime of experience in the industry, as he got his start in the roofing business as a kid. In 1989, soon after he graduated from Indiana University, Gene started Bone Dry with just a truck and a garage office to its name. Gene holds roofing certifications from Owens Corning, CertainTeed, GAF, and Air Vent Inc. His experience, combined with his dedication to his customers and his hands-on attitude, drives Bone Dry’s success each and every day! As the General Manager of Bone Dry Roofing, it's Steve Klosinski's job to oversee much of the company's daily operations. He has over 17 years of experience in all types of roles in the building industry, from labor to sales and even wood design engineering. Steve's background makes him the perfect leader at Bone Dry Roofing because he can truly understand the positions and requirements of all of our employees. He ensures that each and every customer is given the Bone Dry experience. Outside of work, Steve enjoys spending time with his family and kids. He is also a drummer in a regional rock band!